Tha a's a' phìos seo sgeul beag air duine aig a robh a' Ghàidhlig bho `n ghlùin. The e air a bhith fuireach `s an Àrd-bhaile fad bhliadhnaichean móra anist. In this piece, we'll see the story of a native Gaelic speaker who has lived in HRM for many years now. Agallamh le Dòmhnall Sheonaidh MacDhòmhnaill. `S ann a's an Tairbeart an Iar a rugadh is a thogadh Dòmhnall Sheonaidh. `S e a' Ghàidhlig a' cheud chànan a bh' aig' ann an taigh a sheana-phàrantan. `S ann a mhuinntir na Hearadh a bha a shinnsearan. Thug e seachad bliadhnaichean móra ag obair am Baile Haileafags, far a bheil e 'fuireach fhathast. Tha Dòmhnall gu math taiceil do dhaoine a tha togail na Gàidhlig. Tha e fìor mhath gu naidheachdan innse. Donnie was born and raised in West Tarbot. He was raised with his grandparents where Gaelic was the language of the home. He is descended of Harris stock. 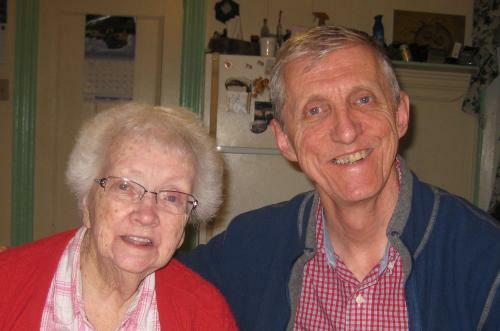 He spent many years working in HRM where he still lives today. 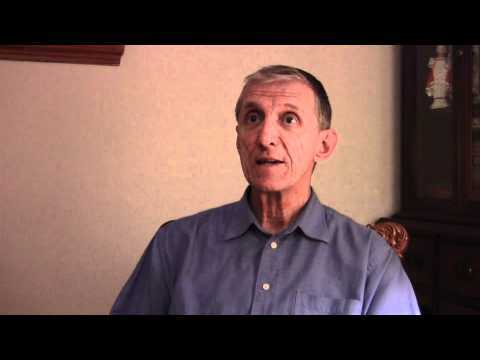 He is very supportive of Gaelic learners and is wonderful to tell stories. Seann òran gaoil ag innse mu nighean òg ann an Albainn. Air réir a’ chunntais, thuit i ann an troma-ghaol air fear a Chloinn IllFheòlain a bha 'na 'fhìdhleir cho ainmeil `s a bha an taobh seo a dh’Albainn’. Dhealaich iad `s thill e air n-ais gu muir. A love song about a young woman in Scotland who falls for a man by the name of MacLellan, said to be one of the best fiddlers in that part of the country. Sadly, they part, and he returns to sea. A song telling of lovers parted. Chaidh an t-òran seo a chlàradh aig Comunn Cheap Breatainn ann an 1954 am measg stuth a chlàr Helen Creighton. Chuireadh Comunn Cheap Breatainn air bhonn ann a’ Haileafags ann an 1951, mar àite `s an cumadh muinntir Cheap Breatainn an dualchas Gàidhlig beò. `S e àite a bh' ann `s an tigeadh daoine cruinn a bha `fuireach ann a’ Haileafags; daoine a thàinig ann `son obair fhaighinn, neo foghlam fhaighinn `s na h-oilthighean. A part of the Helen Creighton Collection, his song was recorded at a gathering held by the Cape Breton Club of Halifax in 1954. 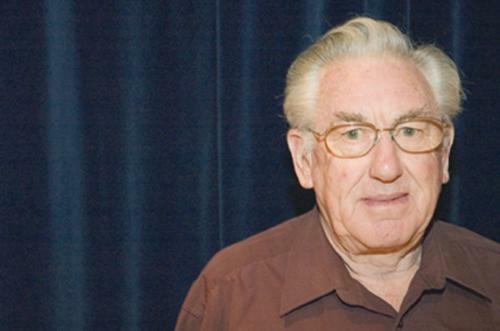 The Cape Breton Club was founded in 1951, keeping Gaelic culture alive in the Halifax area. Gaels coming to Halifax for work or education would gather at the Cape Breton Club to maintain Gaelic language, music and dance. Known today as The Cape Breton Charitable Association of Halifax. ‘S ann a's an Àrd-Bhaile a rugadh Daibhidh. Dh’ionnsaich e cuid mhath dhe na seann phuirt bho athair a bha 'na dheagh fhìdhleir, Ailig Dan MacÌosaig à St. Rose ann an Siorramachd Inbhirnis. Tha Daibhidh air fear dhe 'n luchd-ciùil as cliùtiche a thànaig à saoghal na Gàidhlig a bhos - tha e a chearta cho math air a’ ghiotàr - `s e ‘An Leabhar Phort’ a thug Gàidheil an eilein air. Dave MacIsaac was born in Halifax. 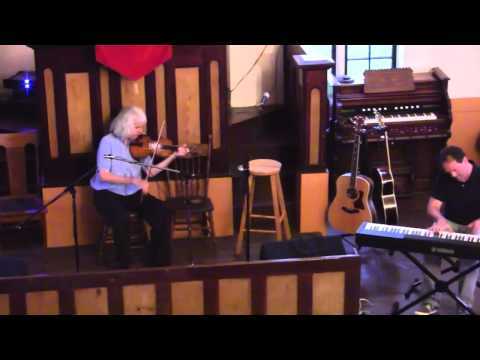 He learned many of the old fiddle tunes from his father, Alex Dan MacIsaac of Ste Rose, himself an accomplished player. Dave is one of the best-known traditional musicians to emerge from this Gaelic region – he is also a noted guitarist – and was given the nickname ‘The Tune Book’ by the island’s Gaelic-speakers. Puirt air an cluich le Daibhidh MacÌosaig. 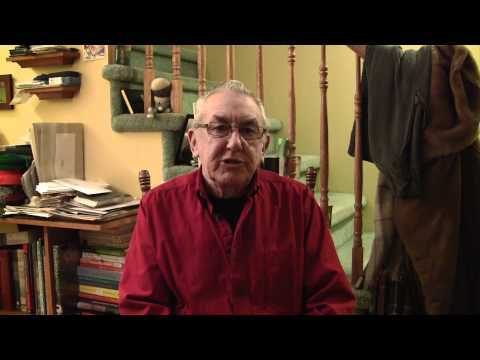 `S e fear ciùil ainmeil a th’ ann an Daibhaidh mac Alasdair Dhòmhnaill. `S ann às a’ Phrìomh Bhaile a tha e.`S ann a mhuinntir à Earra Ghàidheal a bha a chuideachd.`S ann à Dùnbheagan a bha athair, Alec Dhòmhnaill. Bhuineadh a mhàthair do Lake Ainslie. Dar a bha Daibhaidh a’ fàs suas, `s ann tric a bhiodh luchd-ciùil à Ceap Breatainn a’ tighinn anuas dha 'n taigh ac' air chéilidh. Bha mòran seann chlàraidhean aig Daibhaidh nuair a bha e 'na ghille. An diugh, tha barrachd air mìle clàraidhean do cheòl Cheap Breatainn traidiseanta aige. Seinnidh Daibhidh an fhidheall, giotàr, bass, mandolin, banjo agus mandola. 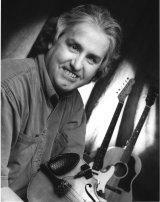 Dave MacIsaac is a renowned musician from Halifax, Nova Scotia. He is descended from settlers from Argyllshire. His father, Alex Dan, was from St. Rose, Inverness County, and his mother, Frances MacDonald, was from West Lake Ainslie. His father was a fiddler and musicians would frequently come up from Cape Breton to visit and share tunes with the MacIsaacs. Dave enjoyed listening to old fiddle recordings as a child and now has collected thousands of traditional Cape Breton musical recordings. Dave is accomplished on violin, guitar, bass, mandolin, banjo and mandola. Harvey Peutan a’ danns ann an Haileafeags `s a' Chéitean 2011. Ceòl le Howie Dòmhnallach aig Dannsa Cheap Breatainn. 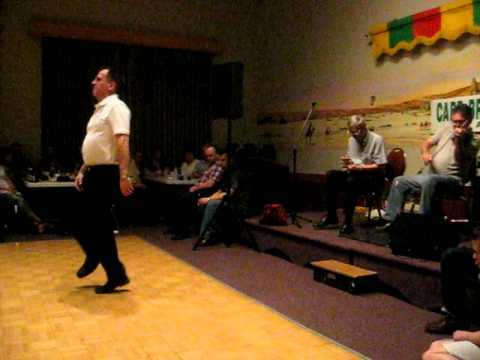 Harvey Beaton stepdancing at the Cape Breton dance in Halifax, May 2011. Music provided by Howie MacDonald. Tha daoine air tighinn a dh'fhuireach ann am Baile Haileafags às caochladh àiteachan do Ghàidhealtachd na h-Albann Nuaidh. Mar sin dheth, gu math tric, thig daoine còmhla cruinn airson ciùil agus dhannsaichean. A's a' phìos seo, chìthear feadhainn a' deanadh danns aig té dhe na taoims ud. Although Halifax area is not a traditional Gaelic speaking area, people from all over have come to live there. With that, music sessions and square dances are commonly on the calendar of events. This video shows a square set at one of these sessions. Luchd-céilidh ag éirigh air danns' aig Pepperjack's `s an Àrd-Bhaile, Faoilleach 2012. Ceòl air a sheinn aig Glean Greumach, Ruairidh Dòmhnallach agus Ìosag Frisealach. 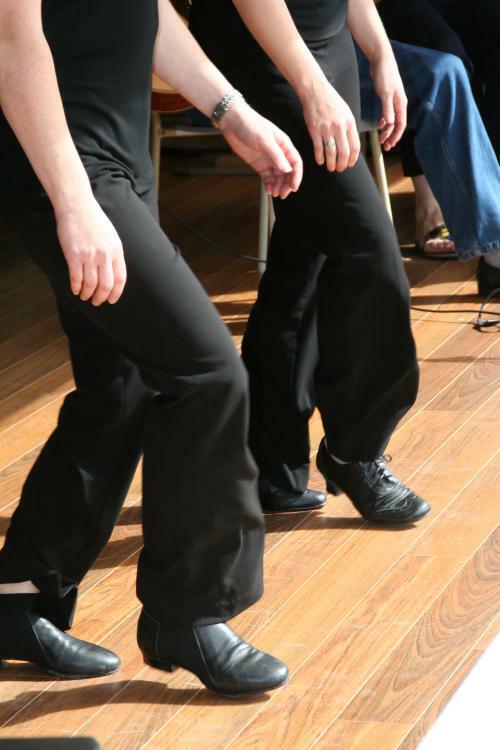 Dancers stepping to a set at the Pepperjack's Cape Breton Céilidh, January 2012. Music by Glenn Graham, Rodney MacDonald and Isaac Fraser. Buidheann a’ luadhadh a’ chlò. Obair throm a rinneadh a’s gach coimhearsnachd Ghàidhealach ann an Albainn Nodha gus an clò fhàgail teann gu leòr airson a chosg. `S iad na h-òrain, agus lìonmhorachd nan làmhan, a dheanadh an obair aotrom. A group milling the woolen tweed cloth. This heavy work was carried out in every Nova Scotia Gaelic community in order to shrink the tweed so that it could be worn. The work was lightened by the numbers participating and milling songs. Seinn o ho rò seinn. `S mi air àirigh chruidh-bhainne. `S mi leam fhìn an tìr m' aineoil. Mun do dh'fhàg mi m' Bràigh Raineach. Cead bhith mànran ri m' leannan. `S e bu dùnadh dhi barrach. A milling frolic in Halifax, December 2011. Chaidh Seòrsag ni’n Sheòrais `ic Coinnich a bhreith anns an t-Sassain aig Croydon. Tha i `fuireach anns an Àrd-bhaile. Thàinig a sinnsearan às an Eilean Sgitheanach, na Hearadh, Inbhirnis, Dòrnoch agus Inbhir Àir. Tha màthair Sheòrsaig an sàs a's a' Ghàidhlig anns an Àrd-bhaile. Mar sin dheth, thog Seòrsag fhéin beagan dhi a’ siod `s a’ seo. Tha Seòrsag gu math measail dualchas na Gàidhlig. Seinnidh i a' chlàrsach agus nì i dannsa-céim. Georgia Atkin was born in Croydon, England and lives in the city of Halifax. Her ancestors came from the Isle of Skye, Harris, Inverness, Dornoch and Ayrshire. Georgia’s mother, Laura, is very involved with Gaelic activities in the Halifax Metro area, and Georgia has acquired a bit of the language herself at various classes and events. Georgia enjoys learning about all aspects of the Gaelic culture; she is interested in the history of the Gael, she plays the Celtic harp and step dances. A's a' phìos seo, cluinnear samhla air blas air a chumail beò `s an Àrd-Bhaile. 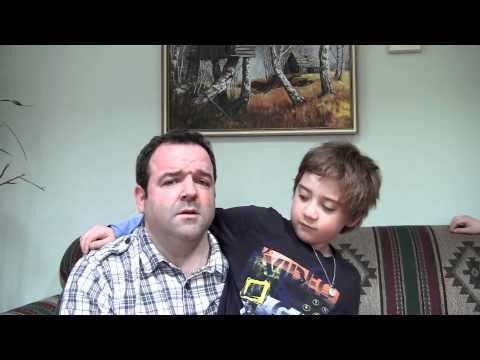 In this video, a sample of a dialect being maintained in HRM will be heard. Agallamh le Lodaidh mac Eòis `ic Dhòmhnaill Fhiadhaich. Rugadh Lodaidh mac Eòis Dhòmhnaill Fhiadhaich ann am Baile Inbhir Nis. Chaidh a thogail ann am Bun na h-Aibhne Deas. `S ann à Mùideart is às Eilean nam Muc a thàinig na daoine aige. Tha e `na cheannard aig Iomairtean na Gàidhlig. Chaidh urram Bàrd Mòd Rìoghail Nàiseanta na h-Albann a thoirt air ann an 2012. Lewis MacKinnon was born in Inverness and raised in Lower South River. His people came from Moideart and the Isle of Muck. After hearing Gaelic at home as a boy, Lewis decided to learn his language. He is a musician, Executive Director with Gaelic Affairs, Department of Community, Culture and Heritage and teaches Gaelic in the community. In addition, he was named Poet Laureate of the Royal National Mod in Scotland, the first time for a non-Scot to earn the title. A's a' phìos seo, cluinnear samhla air blas a tha air a chumail beò `s an Àrd-Bhaile. Agallamh le Eòsaph mac Labhruis `ic Labhruis `ic Sheumais `ic Labhruis Cheart. An interview with Joe Murphy. Rugadh Eòsaph mac Labhruis `ic Labhruis `ic Sheumais `ic Labhruis Cheairt ann am Moncton, Brunsuig Nuadh. Chuir e suim `s a' Ghàidhlig as deoghaidh dha an cànan a chluinnteil ann an Ceap Breatainn. A' là an-diugh, bidh e `teagasg na Gàidhlig ann am Baile nan Loch. Joe Murphy comes from Moncton, New Brunswick. Joe decided to learn Gaelic after spending some time in Cape Breton and hearing plenty of Gaelic there. Today, he instructs Gàidhlig aig Baile classes in Dartmouth. Bhon dh’fhosgail Àrd-sgoil an Dùin `s an t-Sultainn 2007, tha Gàidhlig air a bhith mar phàirt ann. Le taic bho Roinn an Fhoghlaim, tha Àrd-sgoil an Dùin air a bhith `g àrdachadh inbhe na Gàidhlig. Chuireadh Comann Gàidhlig An Dùin air chois as deaghaidh do bhuidheann oileanach is luchd-teagaisg a thighinn còmhla gach seachdainn gus eòlas fhaighinn air cuspairean a bhuineas do chultar na Gàidhlig. Since the opening of Citadel High in September 2007, Gaelic has been a part of the school culture. With help from the Department of Education, Citadel pledged to promote Gaelic culture, language, tradition and history. An Dùn, the Gaelic club, was born after a group of interested students and teachers began meeting weekly to explore different aspects of the language and culture. Céilidh An Dùin, Samhainn 2011. Annual Citadel High School céilidh, November 2011. Chaidh Sgoil Ghàidhlig an Àrd-bhaile a chur air bhonn ann an 2005. Tha a ballrachd dìleas do chultar is do chànan nan Gàidheal. 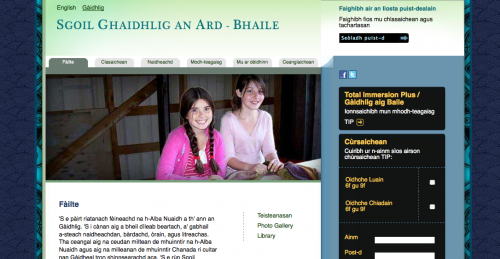 `S e `s misean dhi a ghlèidheadh `s a leasachadh dualchas na Gàidhlig ann am Baile Mór Haileafags. Tha Èos O' Murchu an ceann a' chlais 'Gàidhlig aig Baile' a' seo. Sgoil Ghàidhlig an Àrd-bhaile was established in 2005 and is comprised of individuals committed to preserving and enhancing Gaelic language and culture within the Halifax community. Joe Murphy leads this Gàidhlig aig Baile class. `S e seo Èos O' Murchu an ceann a' chlais ris an canar Gàidhlig aig Baile. Tha an cothrom ionnsachaidh seo `ga chur air dòigh aig Sgoil Ghàidhlig an Àrd-Bhaile. Joe Murphy leads a Gàidhlig aig Baile class hosted by the Gaelic Language Society of Halifax. Rugadh Eòsaph mac Labhruis `ic Labhruis `ic Sheumais `ic Labhruis Cheairt ann am Moncton, Brunsuig Nuadh. Chuir e suim `s a' Ghàidhlig as deoghaidh dha a' chànan a chluinnteil ann an Ceap Breatainn. A' là an-diugh, bidh e `teagasg na Gàidhlig ann am Baile na Loch.